The evidence for God’s existence and identity. The vast majority of people come to their conclusion about God through feelings or based on what someone else believes. The problem is that all of these beliefs are extremely contradictory when it comes to the big questions like: who God is, salvation and eternity? These contradictions tell us conclusively that they cannot all be correct. So who has the truth or does anyone? Setting feelings and what others believe aside for a moment learn why objective evidence is the best way to find truth in any investigation, including the truth about God. See for yourself exactly why Christianity is the most reasonable belief available based on the facts and why it applies to everyone, everywhere even if they do not believe it. Learn the two things we all encounter daily that the Bible states is absolute proof of God’s existence and leave every person without excuse, even those who have never read the Bible. Learn why trying to be a good person is not good enough. Weigh the evidence for yourself and make a reasonable decision about God and then pass the evidence on to others so they can discover the truth. Everyone deserves the opportunity to examine the evidence for themselves. Perfect for the seeker and the believer who want to eliminate doubts and have a reasonable assurance that their faith is actually placed in the truth.If you are a believer you have an obligation to share the truth. Let this book show your friends and family the sound foundation your belief rests upon. 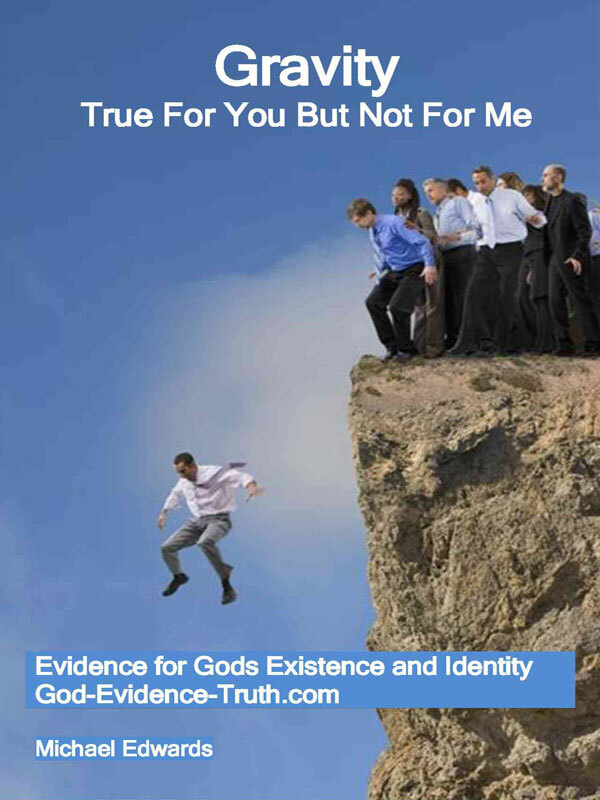 Free E-Book is a great resource to email to non-believers to help them discover the truth, including access to our website with more resources and a video linked E-Book version that goes into more depth. Plus access to print copies of the book you can hand out to friends and family for a very low donation amount. Suggested donations as low as .73 per copy which includes postage to you. It’s not about religion, it’s about truth. You can purchase the book online from Smashwords in multiple eBook formats at http://www.smashwords.com/books/view/104202.